The 2018-2019 session begins September 27. The first two lessons are free. This includes square dance lessons on September 27 and October 4. Paid lessons begin October 11. Partners are not necessary to join the Appleseed Square Dance Club. However, it's more enjoyable to learn with family and friends. We welcome all ages. Bring a family member or friend for fun, fellowship, and exercise. If you do not have a partner, existing club members will be there to ensure you have a partner for each class. Classes for new square dancers are held on Thursday evenings from 7:00 to 9:00 at the Holy Trinity Lutheran Church, 525 W. Cook Rd., Mansfield, Ohio (Please see our Home page for directions). Lessons are divided into two sessions, Mainstream and Plus. The Mainstream level calls are the basic calls that are included by most square dance callers during dances. The Plus level calls are a little more difficult, but a lot of fun to learn. Mainstream Session - 12 weeks. 2 free introductory lessons - September 27 and October 4. Paid lessons - 10 weeks starting October 11 are $30.00 per person. 10 weeks starting on January 3 are $30.00 per person. Special family rates are available. Please contact us for more information. Danny Beck is our dance instructor. 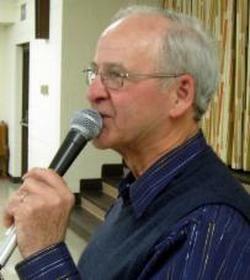 He is an excellent instructor and makes learning square dancing fun! 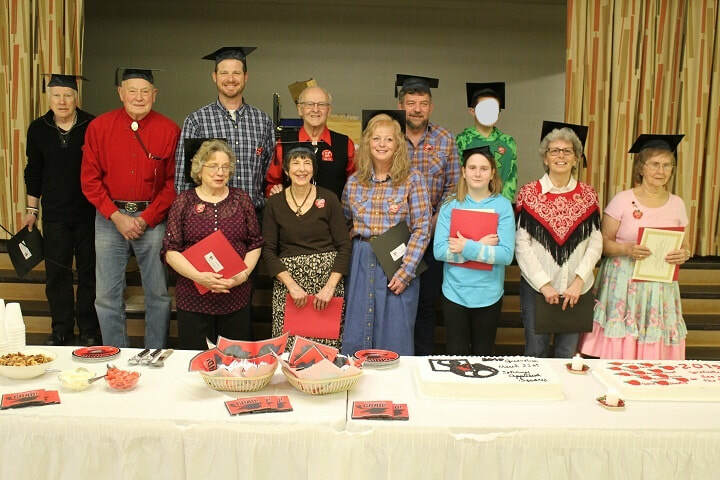 Many members of the Johnny Appleseed Square Dance Club also attend the lessons to assist Danny and the students. A formal graduation exercise is held for new dancers upon completion of both sessions. Once graduation is over, new dancers will be able to dance at any club, anywhere. For more information, please contact any of our officers, or email us at our website using the 'Contact Us' button.